I was hanging out with a friend this weekend and she commented, "Well, you wouldn't understand because you always make these perfect looking meals and you serve them in those perfect looking plates." And at that exact moment, I realized I was wearing two different socks. Not different like two black socks and one had a subtle striped pattern embedded into the fabric and the other was plain black. Oh, no. Different like one was gray with blue stripes and the other was pink argyle. The only explanation I have is that both of these socks lost their mates in laundry land and well, as I run out of clean socks as we approach laundry day, I sometimes resort to wearing sock widows. Yes, even out to brunch. So, let's clear up some misconceptions. I rarely make perfect looking meals on perfect looking plates. Most of the time, I aim for mostly-edible meals eaten out of giant mugs because we forgot to run the dishwasher. Last Wednesday, I nuked some Uncle Ben's rice in a bag and ate it for lunch. No, inhaled it for lunch. And I'm not gonna lie. With a generous squirt of sriracha, it was pretty darn tasty. Last Friday, I wore my running shoes to work (with slacks, mind you) and proceeded to wear 'em for the rest of the day. My little toe with the throbbing, angry blister from my heels sent me a thank you card. Yesterday for dinner, I piled a whole bunch of leftovers including meatloaf, roasted veggies, and pasta into two bowls (ok, giant mugs), nuked it, poured on some plum sauce and served it to the hubster and I for dinner. We ate it on the couch while watching Big Bang Theory on his laptop. If that ain't a hot Sunday night, I don't know what is. Oh, and this morning I pulled my hair into what I convinced myself was a stylish chignon (but was really more like a third grade ponytail) because I didn't have time to blow dry or flat iron it. Sometimes, our lives aren't as perfect as they seem to someone just casually glancing in. Sometimes, the only thing we're hoping for is to make it to Friday so we can do laundry and catch up on missed tv shows from the week. And even after all that, sometimes we find ourselves wearing mismatched socks. Horribly mismatched socks. And so, I introduce you to the Meyer Lemon Olive Oil Cake. A not-so-perfect looking cake for all us not-so-perfect people. There's no shiny ganache topping, no magically smooth frosting, no towering layers. Instead, it's got a crumbly crust of crackling Demerara sugar, the bright citrus notes of meyer lemons, and the distinct flavor of olive oil. It's not really a cake you'd make for someone's birthday. It's more a cake you'd make for yourself to eat on a Sunday morning while drinking your third cup of coffee. And wearing your mismatched socks, of course. I received the olive oil used in this recipe from the good folks at Crisco as part of the FoodBuzz Tastemaker program. Put oven rack in middle position and preheat oven to 350°F. Grease 9-inch springform pan with some oil, then line bottom with a round of parchment paper. Oil parchment. Finely grate 2 1/2 teaspoons of lemon zest and whisk together with flour. Halve lemon, then squeeze and reserve 3 tablespoons fresh lemon juice. Beat together yolks and 1/2 cup sugar in a large bowl with an electric mixer at high speed until thick and pale, about 3 minutes. Reduce speed to medium and add olive oil (3/4 cup) and reserved lemon juice, beating until just combined (mixture may appear separated). 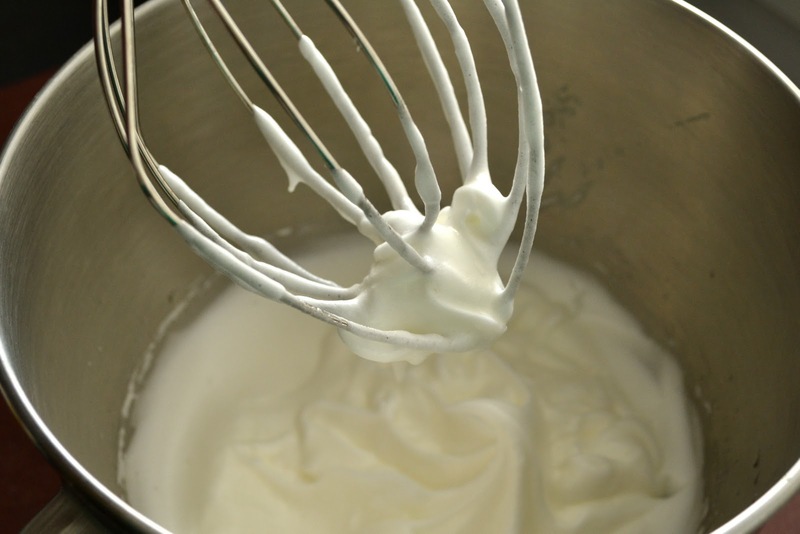 Using a wooden spoon, stir in flour mixture (do not beat) until just combined (resisting the urge to mix completely). Transfer batter to springform pan and gently rap against work surface once or twice to release any air bubbles. Sprinkle top evenly with 1 1/2 tablespoons Demerara sugar. Bake until puffed and golden and a wooden pick or skewer inserted in center of cake comes out clean, about 45 minutes. Cool cake in pan on a rack 10 minutes, then run a thin knife around edge of pan and remove side of pan. Cool cake to room temperature, about 1 1/4 hours. Remove bottom of pan and peel off parchment, then transfer cake to a serving plate. Drizzle with lemon glaze (recipe below). Mix lemon juice and powdered sugar in a small pan over low heat. 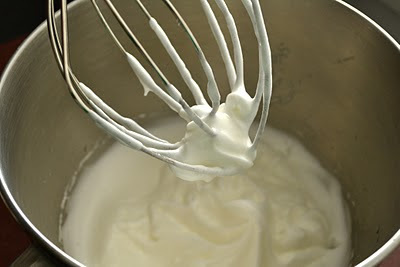 Whisk until smooth (adding more lemon juice or powdered sugar as necessary, depending on how thick you like your glaze). Cake recipe adapted from Epicurious. Yum, That is one gorgeous looking cake..lovely presentation indeed..Thanks for the recipe! Have a nice week ahead! My life is far from perfect...as you know, Maya has mastered the art of sneakers and dresses. And my presentations skills are nowhere near passable - thank you for telling us that you are in the same boat. Although frankly, I think your boat is more like a yacht while mine is a dinghy...never, in my most perfect world could I make a cake look as pretty as this one. PS - try rice + TJ's peach salsa. I swear, it is a match made in heaven! Oh dear, these days I'm lucky if I can get out of the house without hubby putting my son's clothes on my daughter and vice versa. If that's not bad enough, it doesn't help that we let them put on their own shoes (most of the time on the wrong feet). Yes, I'm already saving up money for their therapy ;-). Your meyer lemon olive oil cake looks wonderfully moist and delicious. Great finishing touch with the lemon glaze - yumms! I am always wearing my hair up because it is just a mess! P.s I miss our twitter chatsss! here here, although I do try my best to make the eyes eat our food first. I just love it. Cool cake. Oh yes please - we can all do with the kinda cake with our 3rd cup of morning coffee while wearing our hello kitty jamies and mismatched socks...would make a diva out of me any day! Oh, this looks so delicious. And while we're all more prone to share our best work, there's definitely something to be said for showing our human/lazy/etc. sides too. Sounds and looks yummy, especially for breakfast! I'll have to give it a try. Maybe this weekend! I loved this post! When my youngest son came out of his room with a brown/yellow/orange plaid pair of shorts with a green/maroon striped shirt and asked how they matched and my second son said, "not too bad." I knew perfection was never going to grace my home. I say that mismatched socks are never a problem! I've never used Olive Oil in baking but this cake is surely convincing! This cake looks great by the way. I love it when people make rustic looking cakes because I can't make cakes look pretty for my life! I once tried orange olive cake and failed miserably ever since I didn't go back to olive oil cakes. I should now! Yet another incredible creation using meyer lemons... love this. And I wear mismatched socks more often than not and mugs are perfect vessels for quick, weeknight dinners :). See, you could have said, 'Look at this beautiful rustic cake in all of it's glory' and totally fooled me. I think it looks and sounds absolutely wonderful. btw, It's really funny how you read things like this at the moment you need them most. We just returned home from a 4 day hospital stay with our baby (she's doing fine now) and all I could muster was a version of tuna casserole. Try putting that on my blog! ;) Life is real. Thanks for the fun and down to earth post my dear! Firstly, can you ship me some of those lemons please? I can handle post harvest.. I promise. I'm hardly perfect myself, but I try to be, and alas I disappoint myself ... I really have such an affinity for lemon baked sweets, there is also something very spring about them too..
p.s. I'm about to post about the klutzy me and the dog pee in my hair.. I just got so behind with all that was going on here in Japan. Okay, so the biggest thing I take away from this post is that instead of me being "not-so-perfect" I'm "SO-NOT-perfect!" I stage a lot of the photos I take for the blog and they're most often a far cry from how I would serve them at home. I'm so glad I'm not alone. I guess I wear mismatched socks, too, so to speak. Yes! Your honesty rings true to me, as I think many people assume that about those of us who try to show beauty with each dish we post. And there is absolutely the not-perfect side that we hardly ever capture. I've found myself eating animal crackers and goat cheese for lunch :) Thank you for a fun post! If I could gave a bite of this, I'm sure my tastebuds would send you a thank you card as well! I'm glad you mentioned in your comment on my site that Dorie's cookbook has become part of your weekend reading...I was beginning to think that I was the only one. Now I know I'm in good company :-). I came across your blog through Simply Life who left a comment on my blog. I read your profile and I could totally relate to it! I'm also a lawyer and I decided to blog about real life this year as I felt my life slipping way as I burned hours in the firm and courtroom. Cheers to your blog and here's to more gorgeous posts on food! just reading all the ingredients makes me hungry for this! Such a refreshing cake- i love baking with olive oil too.. Smile. I am all about wearing mismatched socks and recognizing (and celebrating) imperfection. But I must say...your cake looks pretty divine! As the weekend approaches, may your days be full of love and laughter. Thank you for sharing your self, your food and your heart with me week after week. Hugs and love from Austin! I've had conversations with friends like that as well, little do they know that sometimes my desserts don't turn out looking all that great the first time around! ha And I think this cake looks pretty darn good if you ask me! Delicious looking cake actully.. 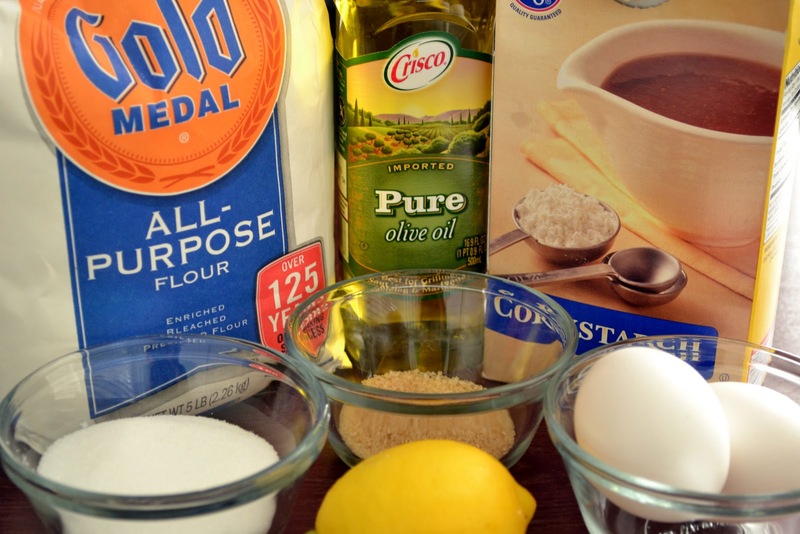 I've never baked with olive oil! This is a gorgeous and crumbly cake....Mmmmmmm love lemons... it looks perfect with that twisted lemon slice on top!! What a stunning cake! How can you go wrong with lemons and olive oil! Have a great weekend ahead. This cake looks perfect to me. I really loved your post...it is so true...sometimes people on the outside looking in think everything in your life is picture perfect but it never is.. I love recipes that highlight imperfections...and loved reading yours! It's so nice to see the own to earth side of people :) I'm giving away a chocolate olive oil right now that reminded me of this cake...stop by and check it out! haha love this post! I wear mismatched socks EVERY DAY. I don't even care enough to match them anymore. SO not worth my time. And I truly love this recipe. Perfectly imperfect cake. I just want to hug you after reading this. We all have our areas of kaos-- mine's my closet. Indescribably trashed, yet my sock drawer is tidy. I can't explain it. 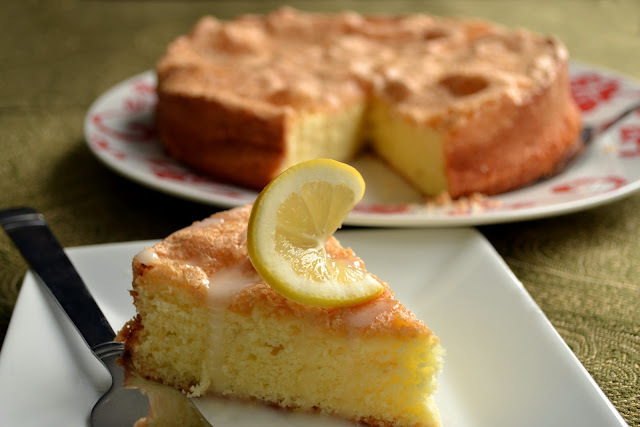 Thanks for sharing this recipe of the lemon olive oil cake through your blog site.It seems this lawyer definitely loves to lunch. You could have served me this on a beat up paper plate and I would have liked it the same. I love olive oil cakes, and every time I make one, I think oh that's not so pretty, but I love them anyways. Messy food is just like messy kids, you love them even when they look like a hot mess. Hey Azmina! Can I pls say you are one of those star bloggers I totally love and admire :) I love the way you write, your madcap sense of humour, the eclectic food you cook, the way you photograph everything and your anecdotes! the anecdotes!!! lol! So here's an award for you on my blog... in total admiration :) do check it out when u have the time. 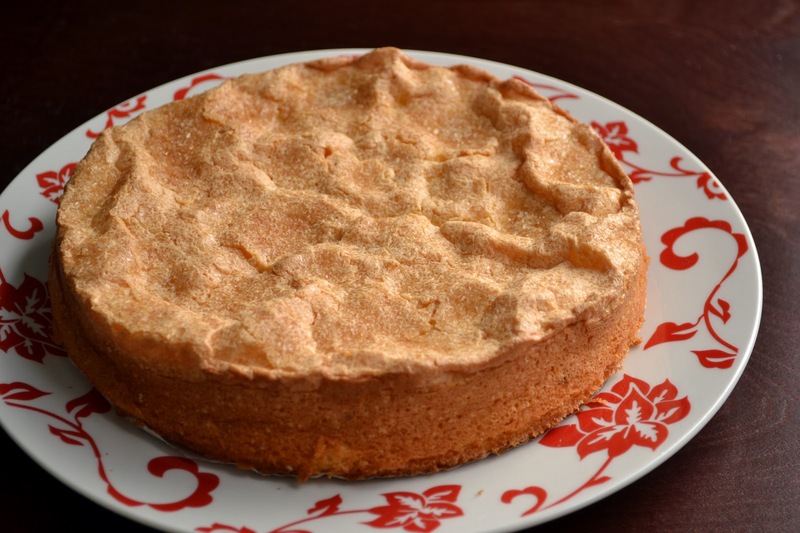 You had my attention at the mere mention of "Meyer Lemons" and this cake looks delish! You're hilarious. I love the not so perfect cake. It looks perfectly delicious. Hahaha, oh Azmina. I do all of those things and more, too! Oh, wait... I'll bet I have your socktwins. Where are yoU?! I need some more deliciousness in my life! Nothing about ramen soup? C'mon girl. 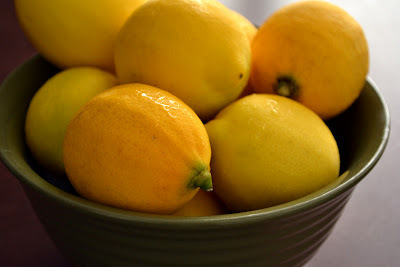 I have yet to find meyer lemons around me and it's killing me. I want to make some of these recipes I'm seeing (including this one) so badly. WOW.. This is just perfectly made.. Love ur write up.. and actually enjoyed some of the comments here too.. Sometimes imperfection looks great. Loved the recipe. At the end it's all about tasting good. Loved that cake. It looks so perfect. Never had cake with olive oil this looks too good. hehehe lovely post, made me laugh and embarrassed at the same time, as i too wear two different socks in real life, but manage to hide all imperfections in the camera and post the most perfect pictures of foods. alright, one has to be perfect somewhere! yummy lemon cake. i have been eating a lot of lemon deserts and now a lemon cake is long due.